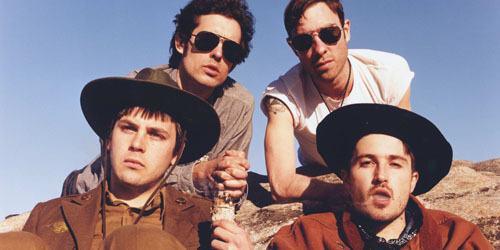 Ronsonized Black Lips? More importantly this is a top 10 album of 2011! Here’s a band that’s gone through three lineup changes (and one founding band member’s death) since their debut in 2000, have played loosely with the borders of the expansive garage punk genre, and still managed to get often rave reviews from listeners and critics. Part of their success might be their legendarily GG Allinesque live performances, which reflect back on and mediate the listener’s recorded experience. More likely it is that they record albums that are nearly as entertaining as their live performances. Arabia Mountain, the band’s sixth studio album, may in fact be their best yet, and if it’s not, it’s certainly their most (but not overly) polished and catchy to date. No surprise then that Arabia Mountain was produced by wunderkind of mix Mark Ronson, who has produced superstars like Amy Winehouse? Not exactly. There was certainly trepidation among some fans when word of Ronson’s intervention appeared. The Lips had never before used a producer! Enter thrice Grammy-fied Ronson, who claimed he loved the band’s music and/but wanted to help them “take it to the next level” after their 2009 album 200 Million Thousand was dubbed their endearingly loosest and sloppiest yet. Would he finally make these ne’er do wells take showers, comb their hair, and raise the toilet lid before peeing (assuming he could get them to use a toilet at all)? Saw Charles Bradley last night at La Maroquinerie here in Paris. The man effuses love for his audience. He blew a full house away with his smooth, poetic ballads, jivin up-tempo soul, and slick dance moves (and he's a senior citizen!). Fantastic story this soul man, the "Screamin Eagle of Soul," has to tell. 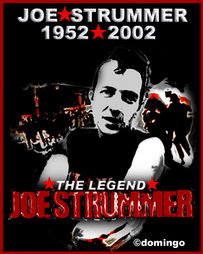 Lived on the streets for most of his youth. Skipped around from cooking job to job for years and years, all the while fitting in his James Brown screamin-smoothin style (in equal amounts) music in random gigs. Only a few years ago, 2002, did soul revival lable Daptone Records discover him and assist him in recording and circulating his classic soul sound. Yet he is not a cover artist, despite this killer soul cover of Neil Young. He writes his own songs. If you have any soft spot for classic soul, especially James Brown, get this record now!